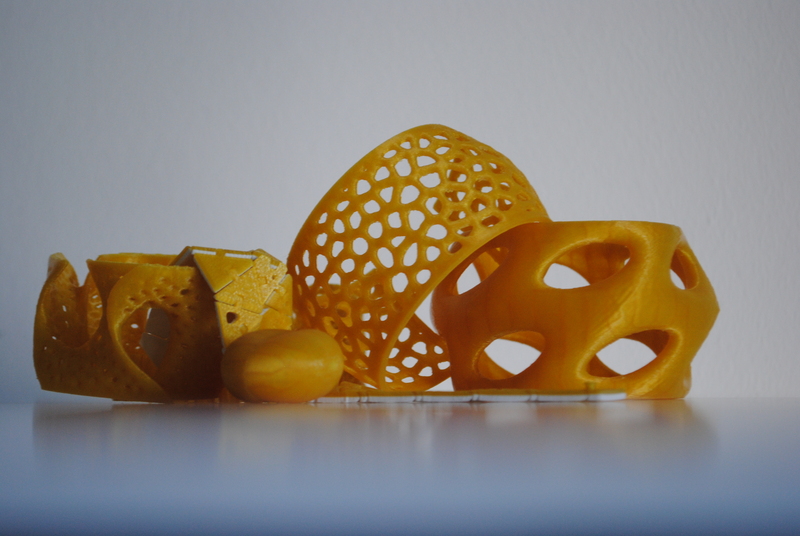 The best 3d printer filaments for the best price, is it a fairy tale? With the exponential growth of the desktop 3d printing scene, even more and more hobbyists and makers are looking for the cheapest plastic filaments for their self-built or out-of-the-box 3d printer. If you google ‘em, you can easily realize that you can get the best prices from the far east, but you should know you mostly get what you pay for when it is about the 3d printer filament prices and the material quality. In this entry, I just want to make clear a few things about choosing the optimal 3d printer filament for your needs, depending on what you want to use your 3d printer for. There aren’t any 3d printer filaments for universal use, the maker itself has to decide in every 3d print job which kind of extrudable plastic is the best for the actual needs. If there were an award for the most innovative desktop machine of the 21st century, it might well go to the desktop 3d printer. These machines, which turn digital designs and virtual 3d models into real physical objects made out of plastic or other materials like 3d printed wood or sandstone, are getting better, faster, simpler and cheaper at such a dizzying pace that it’s not hard to imagine a future in which they’re as pervasive as personal computers or mobile phones. Just think about the beginning of the internet. There are some common points and milestones in their history. And already, you can buy a basic desktop 3d printer for about €450. But it isn’t the best decision, however, to hung up on the incredible low prices of the 3d printers themselves. Just think about the most common and conventional 2d inkjet printers which need those expensive ink cartridges every month, affordable desktop 3d printers can work with open-source 3d printing materials with the specified diameter and 3d printing guidelines, other work with cartridges using a built-in chip which makes the system closed. Of course, 3d printer filament cartridges are more expensive than the normal PLA, ABS, HIPS or wooden 3d printer materials, although the material is made in the far east in every single case. Although the plastic pellets of the raw 3d printing material is quite cheap, the spools of plastic filament which a 3d printer layers into an object have a huge impact on the long-term economics of 3d printing. If you don’t want to pay a huge amount of money for expensive, brand-specific 3d printer filaments, you have a lot of opportunities: if you’re a hacker kind of guy, you can produce your own filaments for your 3d printer by purchasing or building a 3d printer filament extruder like the Strooder, Filastruder projects appeared on Kickstarter a couple of months ago. If you don’t want to turn your bedroom into a plastic factory, you can search for the cheapest 3d printer filament suppliers on the web to get the best offer. It can build up some trust if you see a lot of people using the type of 3d printing material you want, it is always good to see the results of other 3d printers using the same plastic material from the same supplier. We’ve complained about the high price of 3D printing filament, and cheered at the machines that makes filament for the 3d printer out of plastic pellets. Still, the costs of the material for our 3D printers is getting higher and higher, making every hacker and maker searching for the cheapest 3d printer filaments on the internet. Trying to find the best 3d printing filament supplier is always a work in progress. Canvassing suppliers on every continent for 1.75 and 3mm ABS, PLA, HIPS, PVA, Nylon, Conductive, Flexible or wooden 3d printing material for every possible color while accounting for different amounts and spools of filament and shipping is a whole lot of work. Therefore, I’m going to describe it from the european point of view, first starting with how much it will cost somebody like me to get a kilogram of usual 3d printer filament shipped to my door. And this way I only think about local 3d printer suppliers. If you do some research, you might realize that the cheapest spools are from China or the Far East, which means you have to pay the taxes and high shipping costs for your 3d printer filament spools. If you order it with airmail, it is incredible expensive, if you choose the normal transport, it can take months until the package arrives. A fact is a fact: you’d better choose a 3d printer supplier in your neighborhood because you can check the quality and have some warranty for the quality of the product. 3D printing materials aren’t easy to produce, it can be made wrong both overseas and here in Europe. GigamaX3D wants to bring 3D printing accessible to everybody, so that everybody with an idea for a product can turn it into reality. They think that open-source 3d printers like the Velleman K8200 3d printer KIT or the Flashforge Creator desktop 3d printer and cheap 3d printer filaments could help. 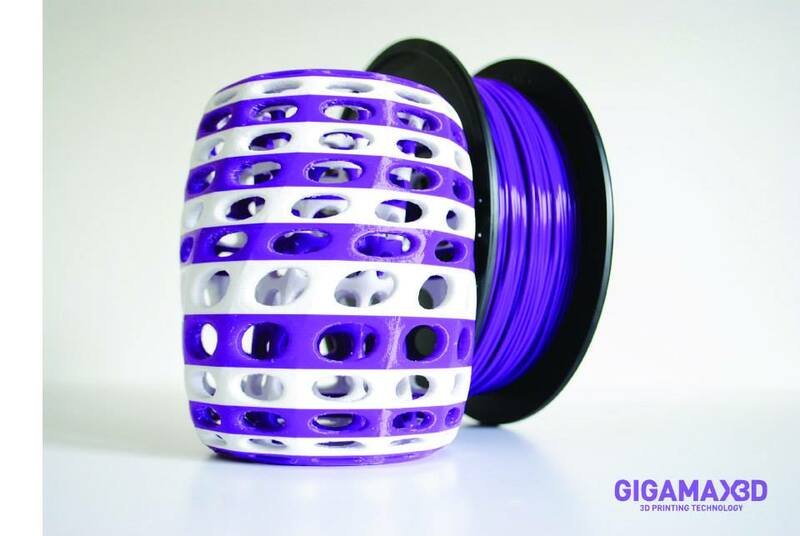 In the GigamaX3D 3D print webshop you can find the cheapest 3d printer filaments with a high quality. They also offer premium 3d printing materials for special applications with higher accuracy and strength, but you also can order ABS, PLA, HIPS, PVA, Nylon, Wood, Conductive or Flexible 3d printer filament spools at an incredible low price starting from € 12.70 / 1 kg. The premium filaments are made in the EU by Fillamentum, which is a czech plastic filament manufacturer with the highest quality materials and most beautiful colors. You also can find filaments from the far east, the cheapest spools are made in China by Esun and are widely used with success around the world since it’s one of the most popular 3d printing filaments. All the chinese and european 3d printer filaments distributed and used by Gigamax 3D printing technology are extruded with inline laser diameter control for guaranteed quality, and have a tolerance in the cross section dimensions better than +/-0.10mm. 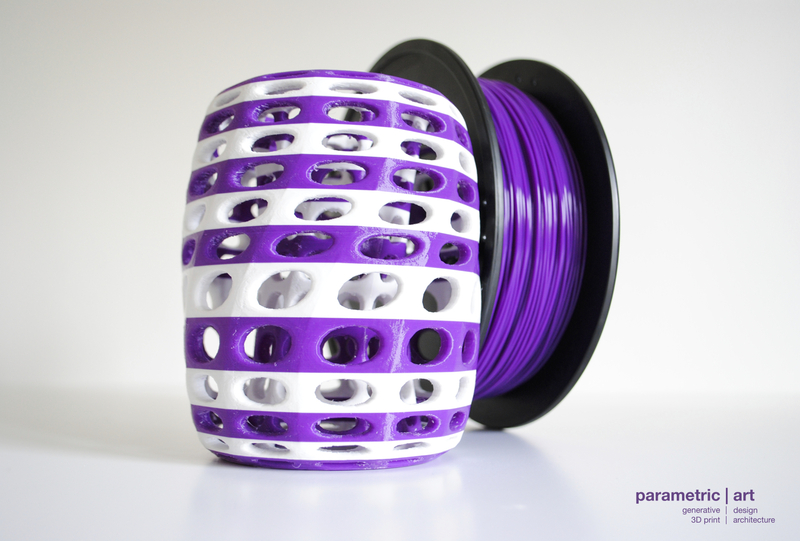 They just have started a promotion offer, which means, if you place an order above 10 spools (except the discount white PLA) you can get FREE SHIPPING to the EU using the coupon code 10PLA at the checkout! 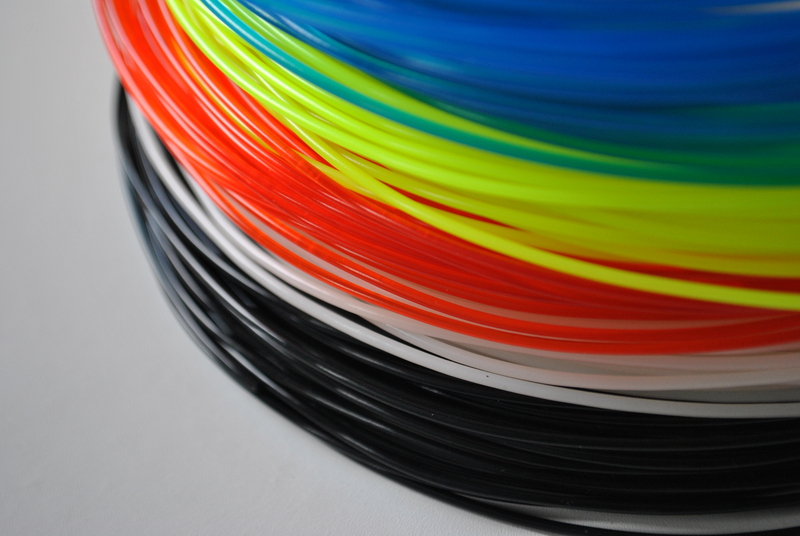 That means, you can get many colors of PLA, ABS, and HIPS 3D PRINTER FILAMENTS for € 16,50 / 1 kg spool with free shipping! In my own opinion, it’s the the cheapest 3d printer filament available in the EU I ever met. 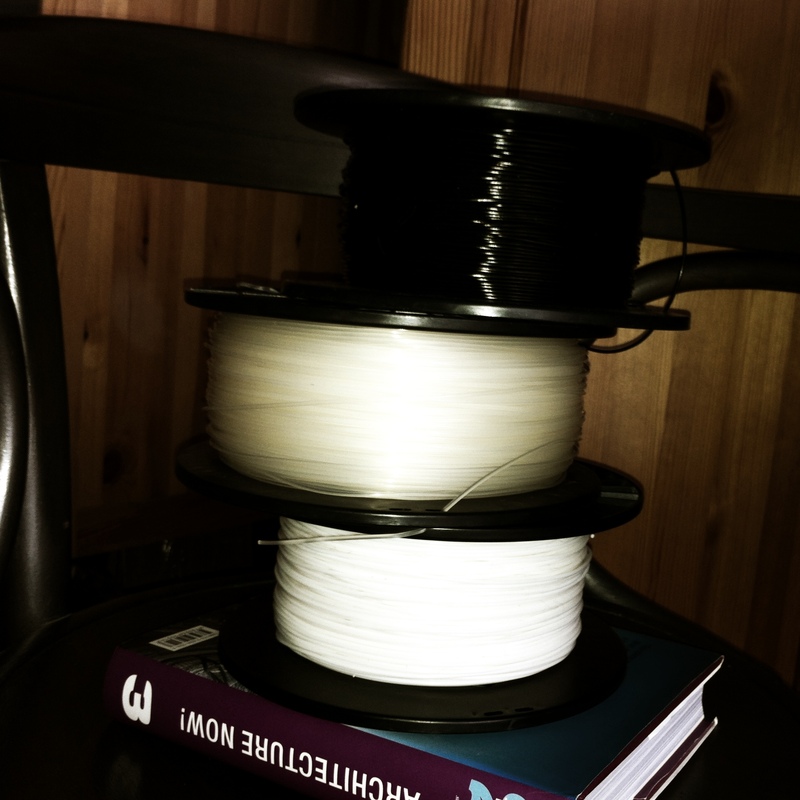 But price is one thing, let’s have a look at the quality of the 3d printer filament. PLA and ABS plastics are the most common 3d printing materials, but the devil hide in the detail and it all goes about the diameter accuracy. I can’t test if the given tolerances were true or not but I know a lot of people who are using Gigamax 3D printer filaments with amazing results on different types of 3d printers with FDM technology. An architect/designer and 3d printing enthusiast, who runs parametric | art generative 3d print studio in Hungary works always with the cheapest Esun filaments purchased from GigamaX3D, a girl who makes unique jewelry with a 3d printer mentioned GigamaX as a filament supplier on her blog as well. The universities and high schools use 3d printers and filaments for different use, the technical and material support is mostly provided by the Hungarian 3d printing company. Just have a look at these 3d printed movie monsters like Diablo, the Terminator, the Alien or the Predator, they all have been 3d printed with the cheapest GigamaX3D PLA 3D printer filament on a Makerbot Replicator 2 desktop 3d printer with default settings! 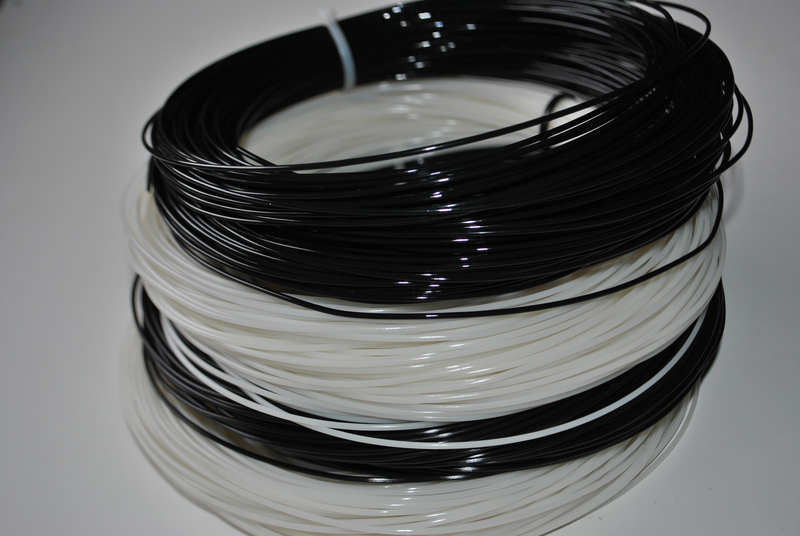 And you can get this cheap PLA 3d printer filament for € 12,70 / 1 kg spool! That sounds irresistible, don’t it? 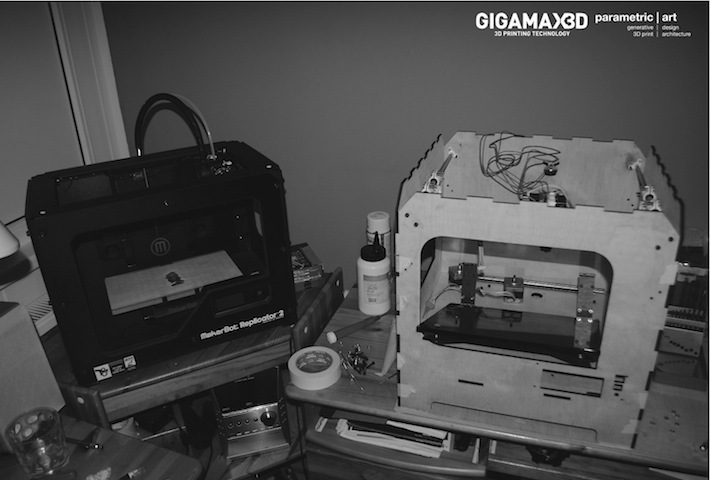 Feel free to ask the guys at GigamaX3D, they can tell you everything about the filaments and 3d scanners they offer. They are working on several projects from movies to medical applications, with key point on education and open-source solutions! Do you want to try something new? Check out the special 3d printer filaments or search the blog for useful tips and tricks about 3d printing! Affordable 3D printing and domestic FDM machines are having a huge effect on the DIY community. While there will always be room for making stuff by hand, it’s so helpful to just 3d print out a part you need. In honor of this awesome tech Design Terminal has teamed up with Varinex Inc. and Freedee Printing Inc. to launch their call within the Budapest 3D Printing Days 2014 for a design competition especially for 3d printing with entry-level and industrial-grade 3d printers. If you haven’t already been following, 3D printing is predicted to be absolutely huge – not just the next cool thing in tech, but hopefully something that will transform and change the way we manufacture our things and live in the future. From construction to toys and even food, 3D printing has really the potential to dramatically alter many of the things we do, and, in the design world, it is one reason why sharp borderlines between designer and user may blurred. The contest calls upon Hungarian designers/innovators/makers to create a product by using 3D printers. 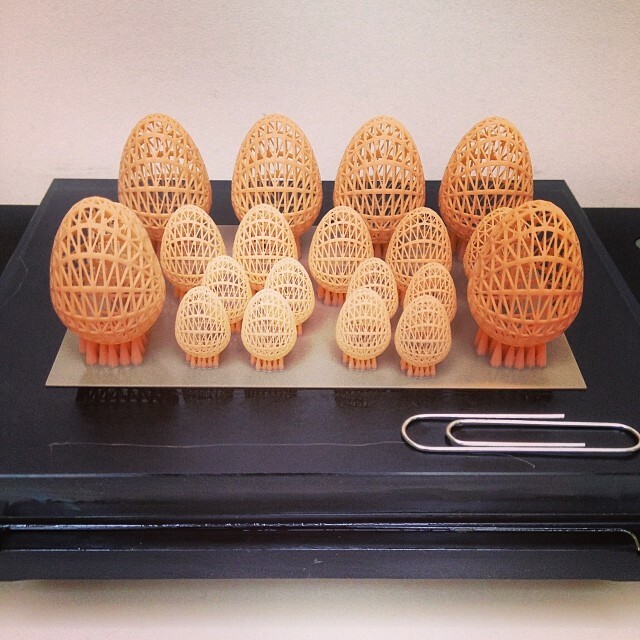 The goal is to demonstrate the potential of 3D printing technology. The call is available unfortunately only for Hungarians. You can apply by submitting this form. The organizers will present the event with two different categories of submission. 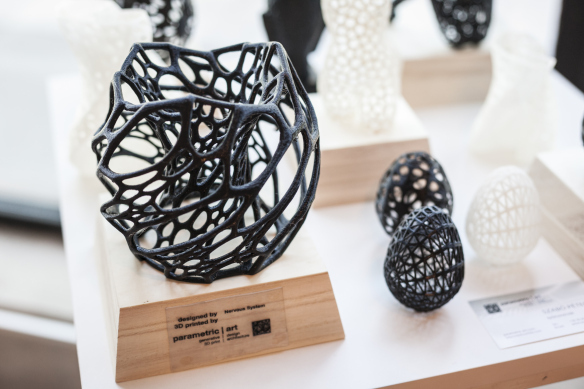 The two categories reflect important characteristics of the additive manufacturing processes while simultaneously looking for creative innovation through interpretation of different themes from 3d printed architectural models, industrial prototypes, decoration, 3d printed sculptures, toys, 3d printed jewelry, 3d printed lampshades etc. 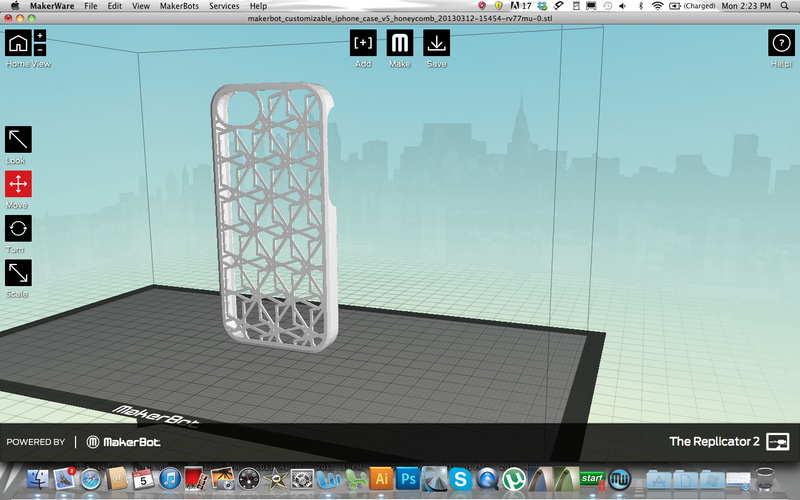 The first category is for the designs which all can be made on an affordable desktop 3d printer using FDM technology. That means, a lot of design rules and technical boundaries of these plastic extrusion printers have to be looked before sending your design files, a minimum wall thickness of 2 mm is one of the conditions of a successful submission. Make sure your model doesn’t include too many overhangs, because there isn’t statement about soluble support material or dual extruder 3d printers. The height of the objects is maximized in 10 cm, so small sculptures, plain, minimalistic 3d printed jewelry pieces and simple, geometrical figures might fit the rules. The whole model has to fit in a 10 x 10 x 10 cm cube. By the way, there is an option to send physical 3d printed models as well, so what if I can make my design in triple scale with .8 mm wall thickness on a DIY open-source 3d printer using water-soluble PVA filament as support material in the secondary extruder? Anyway, the more complex 3d printed models should go to the second category, which is separated for detailed geometries, which only can be manufactured on a professional, industrial grade 3d printer using SLS or DLP technology. These models are allowed to include some overhangs or fine details, but they ll should fit into a 20 x 20 x 20 cm cube, or they will be scaled before the production. Minimum wall thickness – just like in the first category – is about 2 mm, make sure your model doesn’t contain thinner structures. Competitors can submit several entries. By entering this competition, everybody has to warrant that the work is their original work. The designers have to claim that their work – to the best of their knowledge – is not, and has not been in production or otherwise previously published or exhibited. Neither the work nor its use infringes the intellectual property rights (whether a patent, utility model, functional design right, aesthetic design right, trade mark, copyright or any other intellectual property right) of any other person. So keep it simple and fair, don’t steal others design or download something, create some unique stuff on your own! 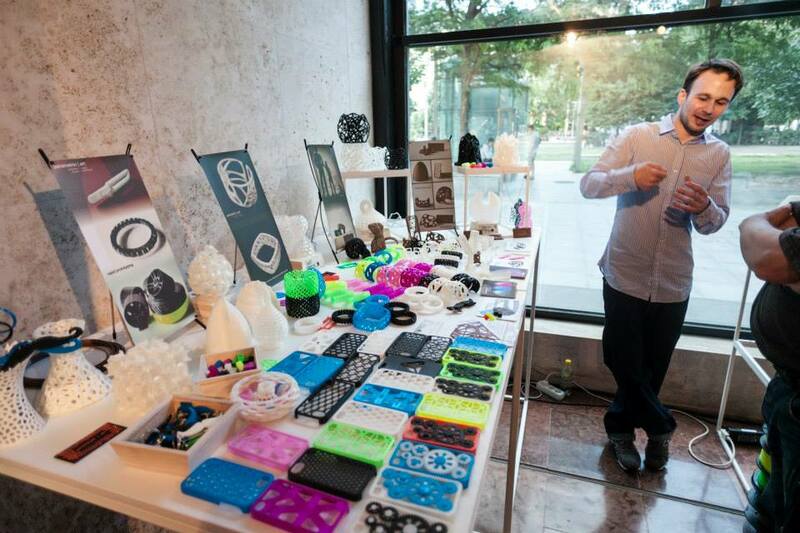 You have almost a week for submitting you designs, the deadline is on 20th May, so let’s get busy and send you best designs to win a tablet and get your design 3d printed and exhibited on the Budapest 3D Printing Days 2014! I also want to submit some of my designs, although I had to realise that most of them won’t fit the contest criteria. They are too big, include too thin structures, and I guess they couldn’t be 3d printed on a conventional cheap FDM printer with factory preset default setting. Although I’ve printed ’em on my Leapfrog Creatr pretty awesome, I have no idea what kind of 3D printer they want to use to print the projects of the competitors. Until then, maybe you could help me to decide which designs of mine should be nominated, you can see some of them on the attached photos, please vote for your favourites in the comment section to let me know which forms and 3d models are the most popular. I usually try to explore the geometric laws behind natural forms to recreate them as parametric digital models, which all have been fabricated using affordable FDM 3D printers. It’s a pleasure that I can get access to the 3D printer farm of GigamaX3D. They want to offer the best 3D printers that will be fast to assemble and will print high quality parts. They offer a wide range of 3D printers – from entry-level open-source machines to industrial-grade professional workstations – that would be useful to many people, helping them realize their dreams whether they be engineers, artists, students, entrepreneurs, architects or other maker. Their Leapfrog Creatr 3D printer is versatile and powerful, and I’m really excited to give a try to the Creatr XL, which can 3d print giant objects up to 60 cm height. Tell me, what would you 3d print if you would have such an amazing 3d printer giant like the Leapfrog Creatr XL 3d printer with dual extrusion features? 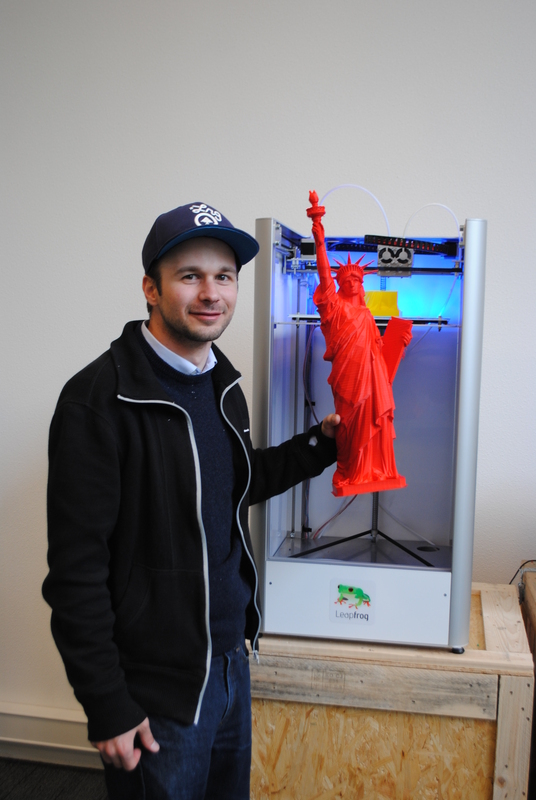 There is no need to split your designs into several parts and assemble them, you can print life-scale objects in one piece using the newest prosumer 3d printer of the dutch company. 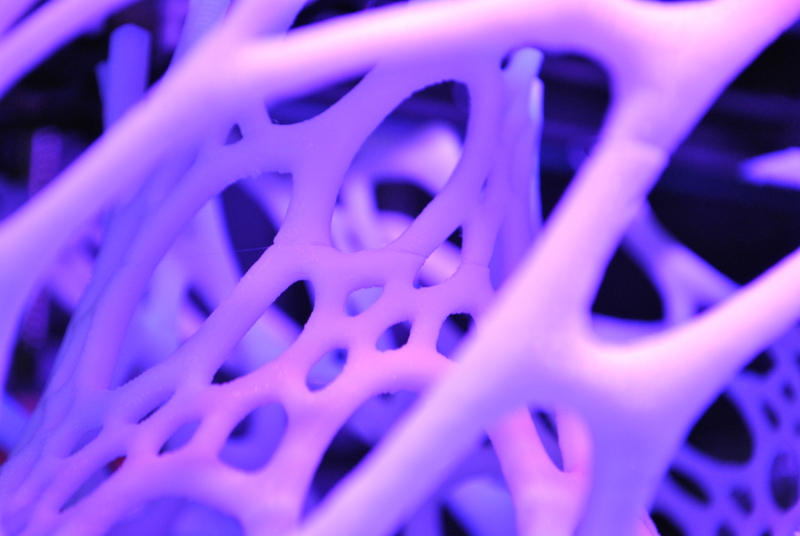 The most prominent 3d printing event in Eastern Europe is coming! 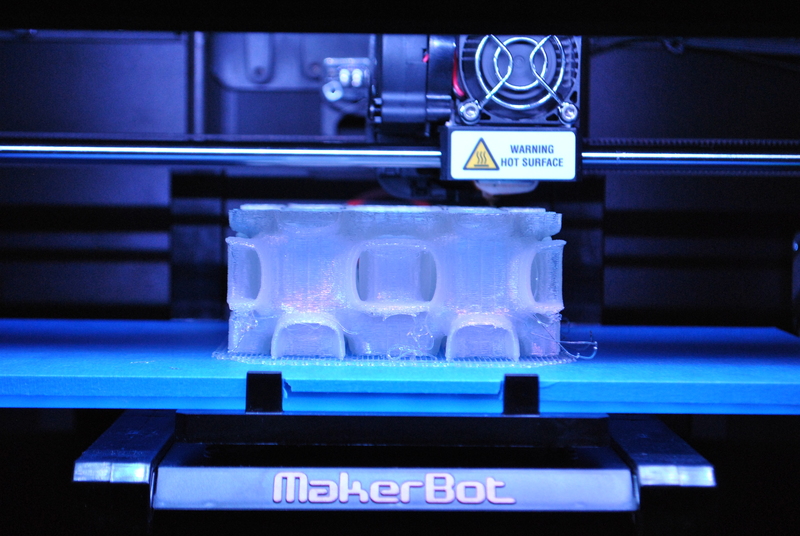 Additive manufacturing and 3d printing is an amazing technology with unrivaled capabilities. There is no need to provide anything less than the unvarnished truth. When additive manufacturing’s advantages are wanted and needed, the facts will not dissuade potential users. Yes, it may lead to specific technologies being eliminated from consideration, but that is for the best for everyone involved. 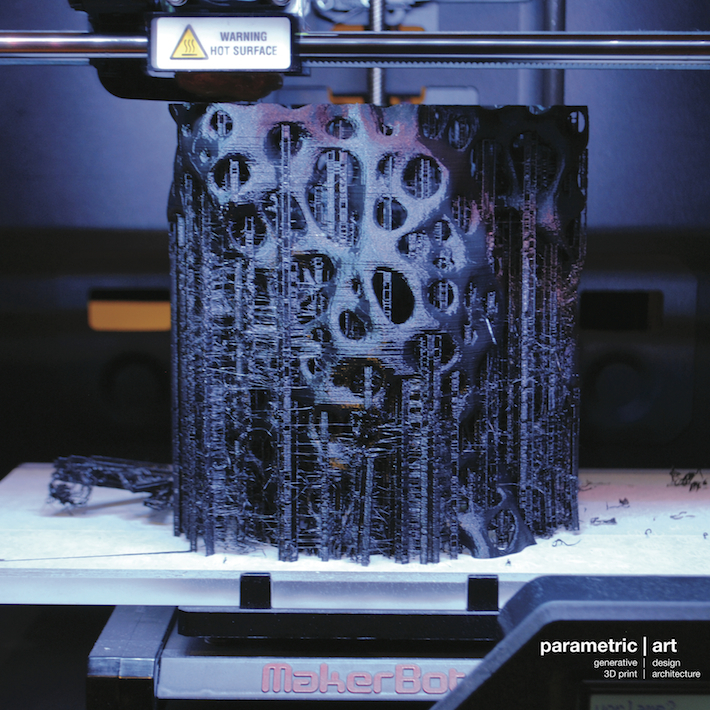 If you are interested in 3D printing, come and join the Budapest 3D Printing Days 2014 to get some really close experiences about this fascinating technology. Whether you just want to see a real 3D printer in action for the first time or share your success with an advanced application, the best way to experience this technology is in person. In the company of engineers, designers and 3D printing experts around the globe, you’ll find out how to make the most of additive manufacturing in your scene. When starting with this article, I was wondering about the 3D printing bubble – the theory surrounding the exponential rise in popularity the technology has seen in recent years, in particular the saturation of the desktop 3d printer market – is becoming a victim of its own success. Because the realm of 3d printing is no longer consigned to the underground-hacker-maker RepRap 3D printer community and/or industrial powers of this world, and because everybody from Barack Obama, Jay Leno to that chap from Made In Chelsea seem to have one, is 3d printing loosing it’s ‘coolness’? If you want to get a bigger view from the exponentially growing scene, you should visit us at Budapest 3D Printing Days in June (check out the program), where you can see all the applications and innovations of this mysterious brand new domestic home manufacturing system. The organizers have developed a special program for professionals who want to learn and/or want to start with 3D printing, but don’t know where to start, as the applications for this technology are so broad. The event will showcase the countless possibilities of 3D printing technology and gives a preview of where it is headed in the near future. 3D printing technology has advanced greatly in the past couple of years — it’s now used to create body parts, robots, jewelry, and houses. 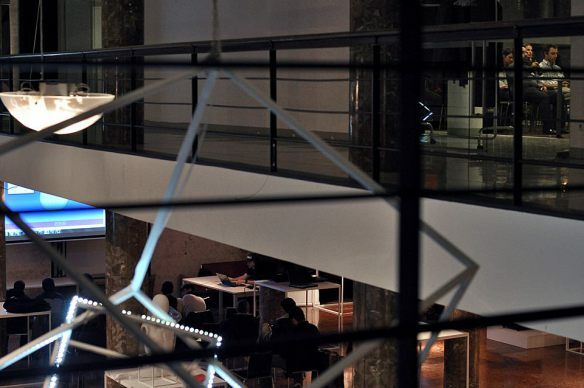 In June at the Budapest 3D Printing Days, vendors will showcase their creations, ranging from art and human body part reproductions, to life-size industrial prototypes, wearable art and fashion at the Design Terminal in Budapest. GigamaX3D and parametric | art will be partnering with Design Terminal’s Budapest 3D Printing Days (the most prominent 3D printing event in Eastern-Europe) with a short-but-sweet conference session that continues our mission to inspire people to design and make – with a little help from generative 3d design and open-source affordable 3d printing. 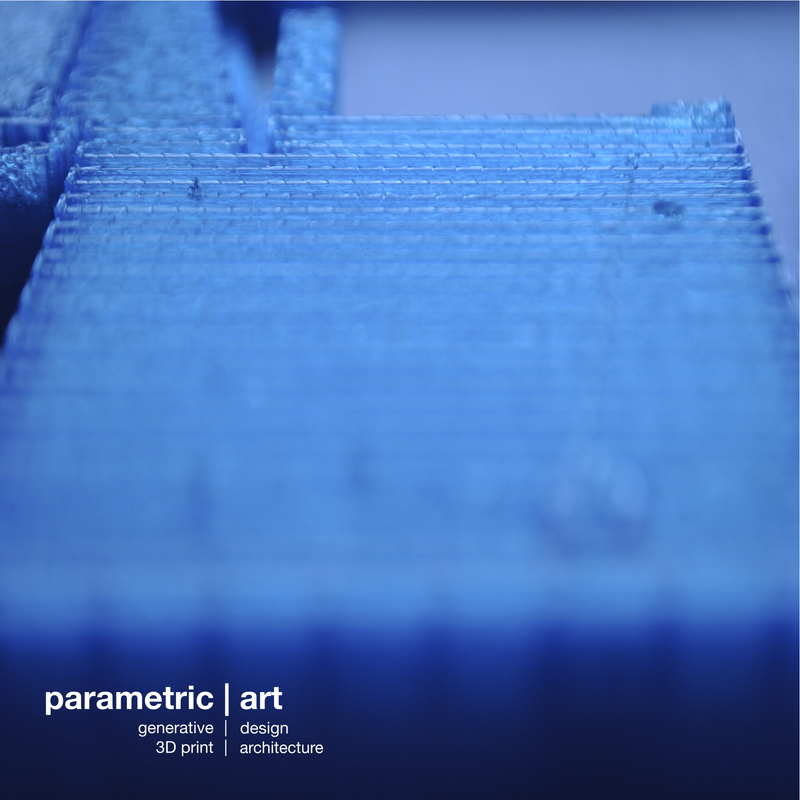 The event will see presentations from many different users in the form of: Varinex’s György Falk, György Simó from Freedee, David Lakatos from Formlabs, David Pap from Fablab Budapest and Peter Varo from the Moholy-Nagy University of Art and Design Budapest and Peter Szabo (me) from parametric | art and GigamaX 3D Printing Technology. In addition to the presentations and workshops, visitors to this year’s Budapest 3D Printing Days will be able to experience the various applications of the 3D Printing technologies, from industrial to commercial and domestic use, while showcasing fresh innovations from the region. GigmaX3D are specialists in desktop 3D printing with a wide range of open-source affordable 3D printers, FDM machines for the consumer and prosumer user community, including custom built FDM 3d printers for special applications. They also carry premium quality 3d printer filaments in a wide range of thermoplastics, including special materials like conductive ABS or luminous glow-in-the-dark plastics. In action at the show will be RepRap 3d printers, Flashforge machines, colorful 3d filaments, 3d scanning and showcasing 3d printed design objects. 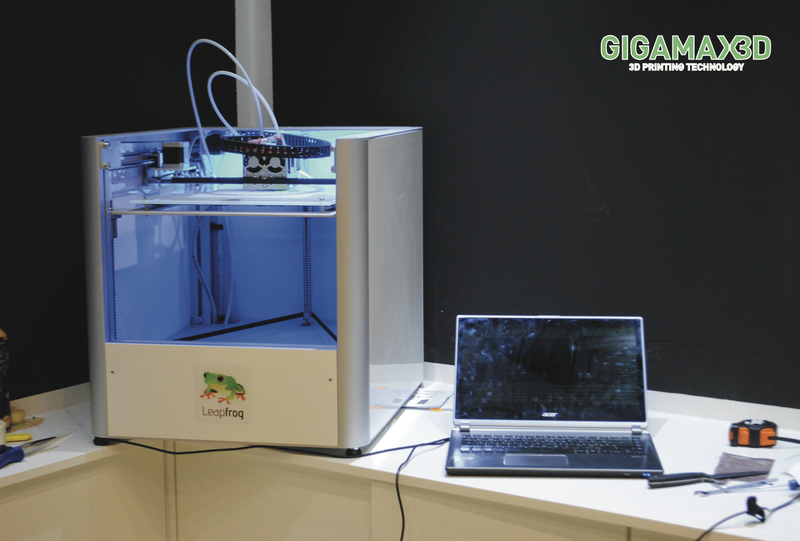 New to the line-up is the professional 3d printer line of Leapfrog, which are dual-head, multi-material desktop 3d printers with the largest build volume on the market that is capable of printing in PLA and ABS but also Laywood, Laybrick, HIPS or Nylon – and can use dissolvable PVA 3d printer support material. The small design studio, parametric | art will showcase some of its most unique designs including generative 3d printed jewelry, organic 3d printed lampshades, parametric geometrical 3d printed objects all made with affordable (and sometimes modded or hacked) desktop 3d printers using special materials like wood or sandstone. 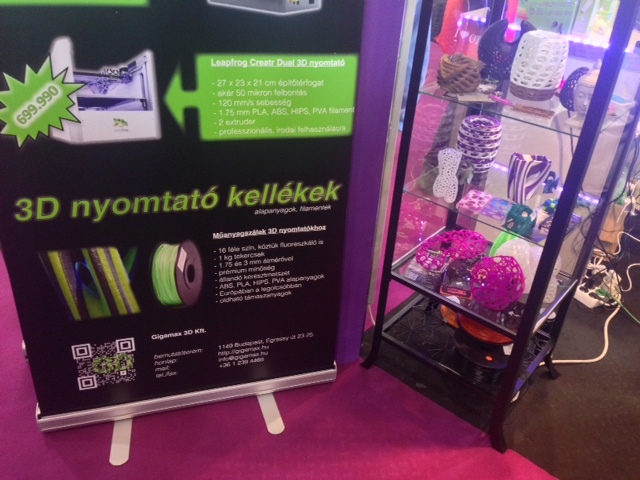 At heir booth at the Budapest 3D Printing Days they will wowing visitors with live demonstrations of their latest projects including generative 3d modeling with free and open-source tools like Grasshopper and Meshlab, and showcasing the 3d printing capabilities of custom built affordable desktop 3d printers. The workshops and seminars are free with a registration and open to show visitors how 3D printing works, with a live demonstration so exhibition visitors can experience it first-hand. 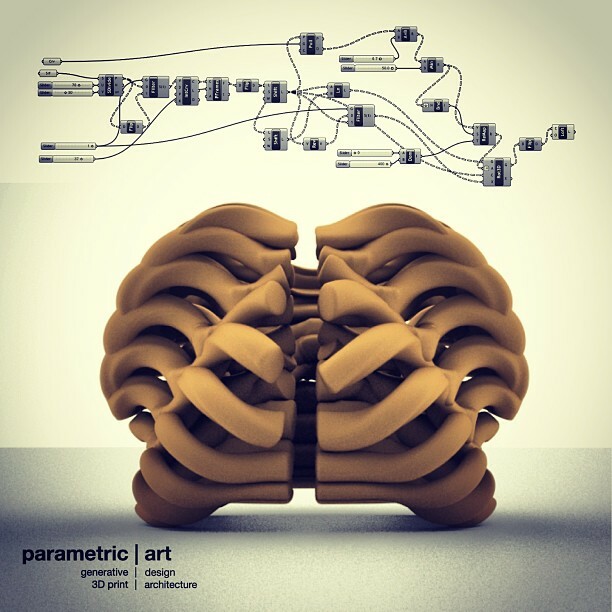 Technicians from parametric | art and GigamaX3D will produce various objects and projects for visitors to pick up and assemble. 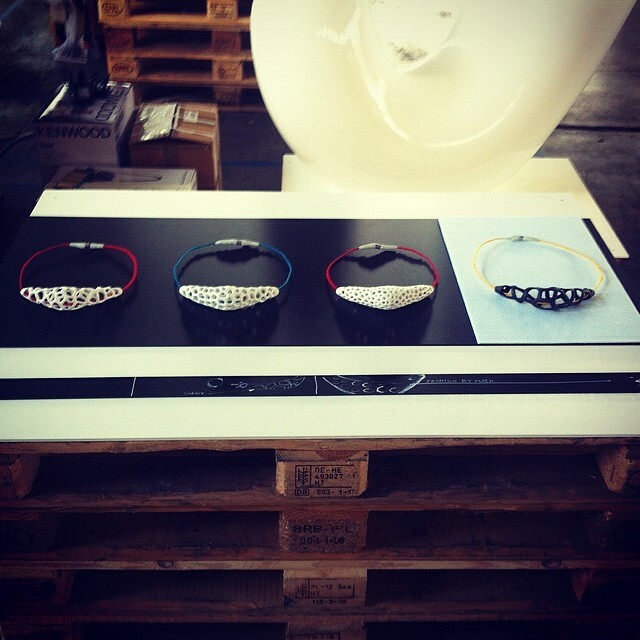 The parametric | art booth will also have a gallery space where products made during the exhibition will be displayed. There are also opportunities to find out how the boundaries between designer, manufacturer and consumer are disappearing, with a growing movement of ‘hacktivists’, who share and download digital designs online so they can be customized for new uses. Several workshops and seminars will give you a broad insight in the 3D printing market. You can attend one, but you can attend them all as well. 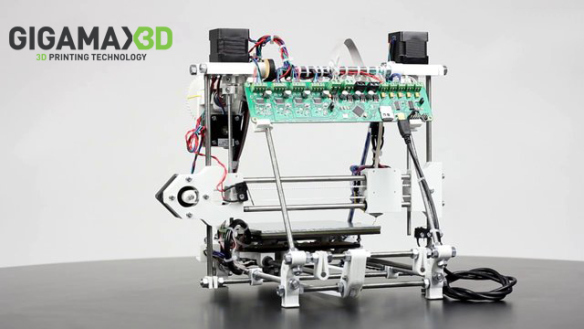 GigamaX3D will do a seminar about open-source 3d printing solutions, you know, the movement which started with Adrian Bowyer’s RepRap 3d printer machine and is the first successful open-source and open-hardware project on the globe. 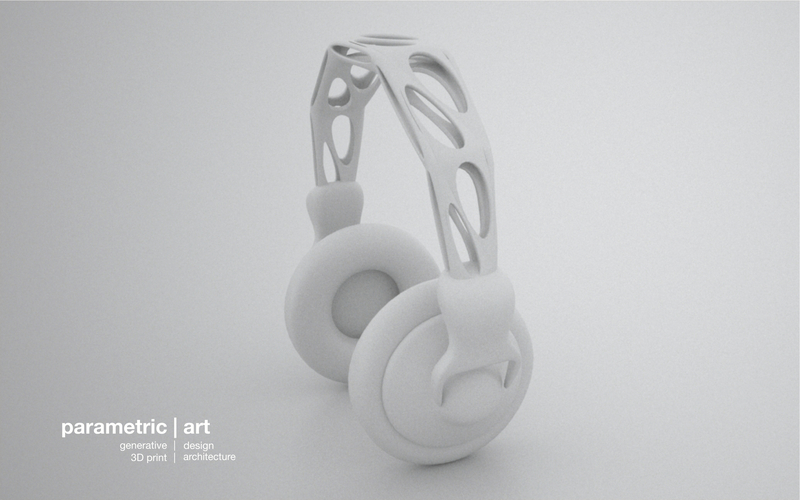 If you want to create your own digital 3d designs for 3d printing, you should attend at the workshop by parametric | art, where you can learn basic 3d modeling tips and tricks and get an insight of generative and parametric 3d modeling techniques. I remember that it wasn’t a long time ago that 3D printing was a little-known term of the high-tech industry. And now, today it is a household name and an accepted technology entering its next major development phase. Right now, we can see 3D printing and all the hybrid additive manufacturing solutions for production taking off and we believe will fundamentally change the world of manufacturing. 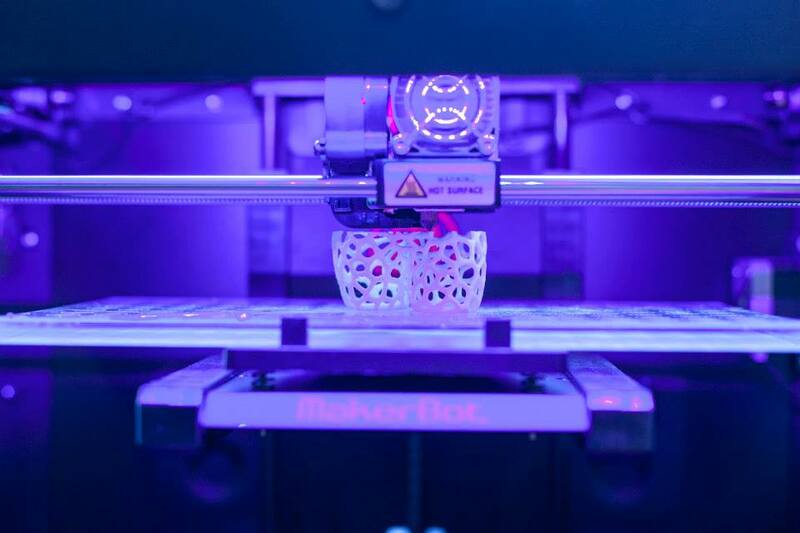 In the last couple of years, the global media has given 3d printers a fair amount of attention and the industry now has great expectations placed on it. Perhaps the greatest asset of 3D printing is that it is an enabler . for both corporations and individuals. In fact, 3D printers is being used in three types of manufacturing and fabrication processes: personal manufacturing, augmented manufacturing and alternative manufacturing. 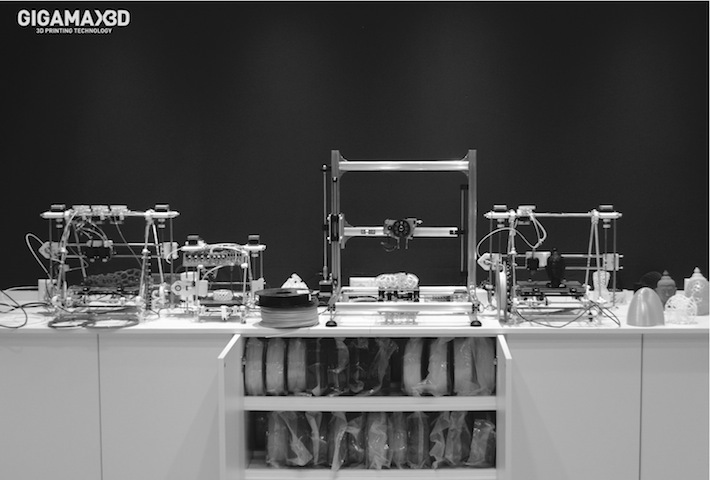 The oversimplification of 3D printing in the media and in conversations does the job of grabbing attention and drawing focus to the highlights of this fabrication process’ capabilities. 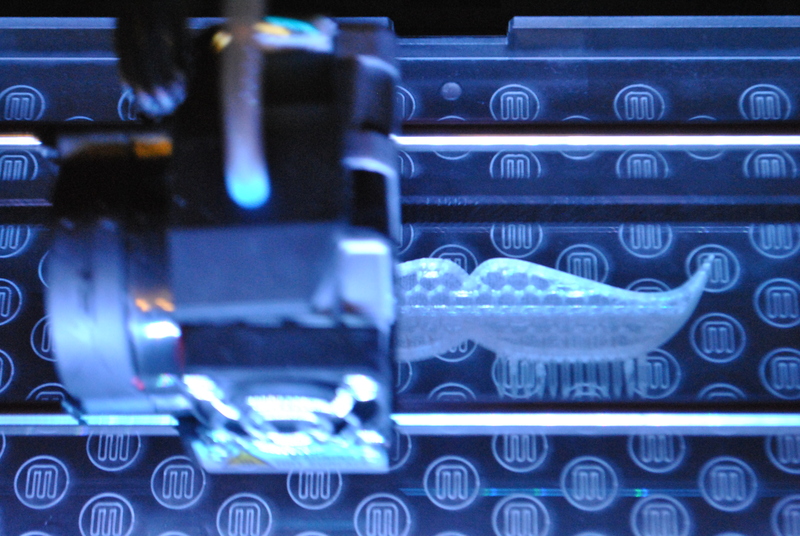 That big picture has involved more and more people and attracted more interest in 3D printing than ever before. But of course, for an average customer, the details are missing. Without them, you can make poor decisions and you may conclude that 3D printing isn’t quite right for you. But you might know that the devils is in the details, and as the idiom indicates, getting to them may be a challenge for you. The jewelry industry already understood the importance of harnessing the power of 3D technologies and additive manufacturing for the benefit of the industry in general – and training the next generation of jewelry designers. 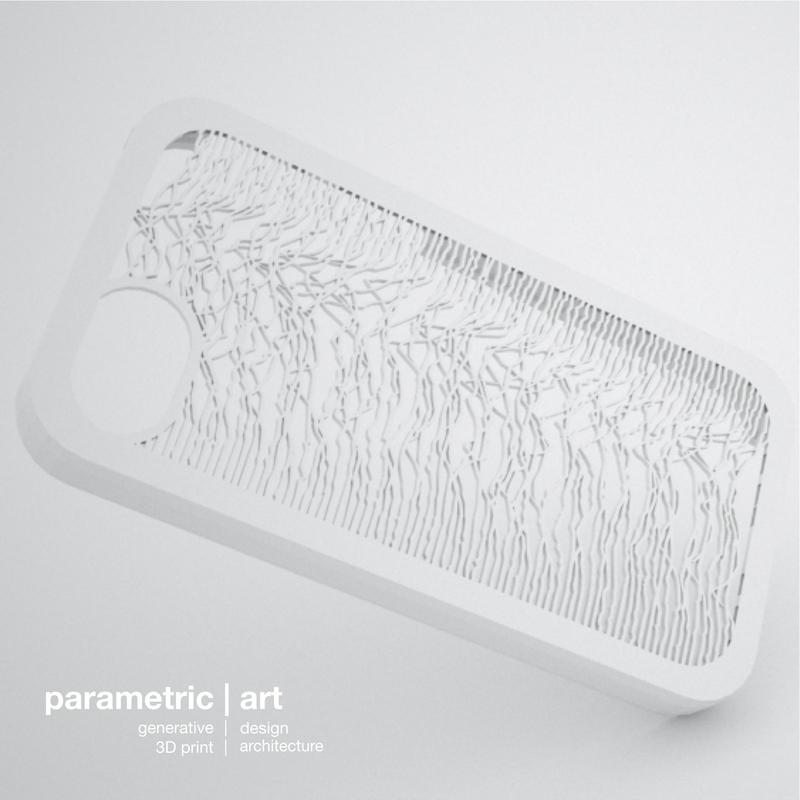 Parametric design processes like computational algorithms and data based design are the new tools for young designers, and the digital design combined with fully digital fabrication allows them to create some really amazing pieces using a CAD software or only coding. There are some breathtaking projects around, you have to check out Nervous Systems Kinematics Home app to create custom generative jewellery pieces which can be downloaded and 3d printed on your personal 3d printer at home. Of course, you’ll need a desktop 3D printer with a resolution of 50-100 micron to be able to make high quality prints, nobody wants to wear something barbed. Post processing might be necessary, ABS prints can be smoothed in acetone vapour to get a shiny finish (fine details and contours often disappear during the smoothing process). When it comes to getting the best out of 3D software and a desktop 3D printer, we can keep in mind that this technology is still a complementary tool, it supports and enhances traditional techniques (like lost-wax casting for example), not replacing them. It’s a technology that gives the jeweler a new set of tools (both for design and fabrication), but it’s not a replacement for traditional skills. When we are talking to a designer and they want to design a conventional wedding ring, they would not need to take advantage of the things 3D printing offers because on many cases, traditional manufacturing techniques are better placed to do so. According to this, we can say that a 3D printer won’t put a traditional jeweler out of his job. The whole new process of 3D printing only saves designers from having to model the initial part of the design from scratch. 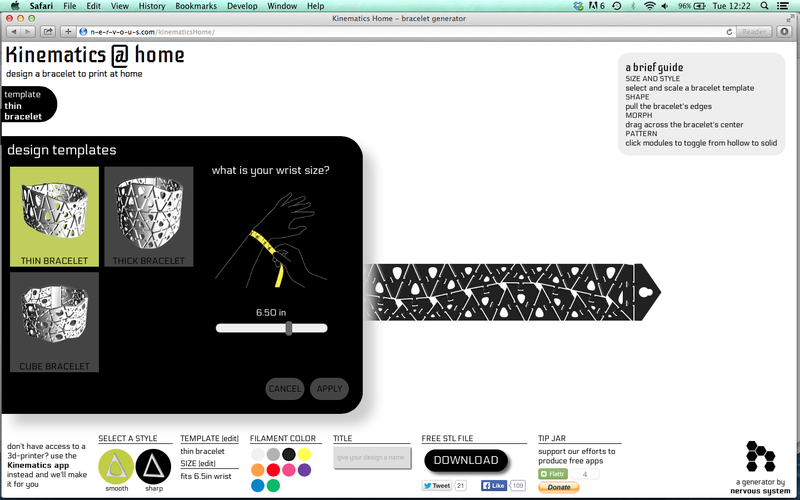 It is a really nice idea for students of for those trying out the technology, to push the technical boundaries of jewelry design and manufacturing with new digital tools as a pattern language. 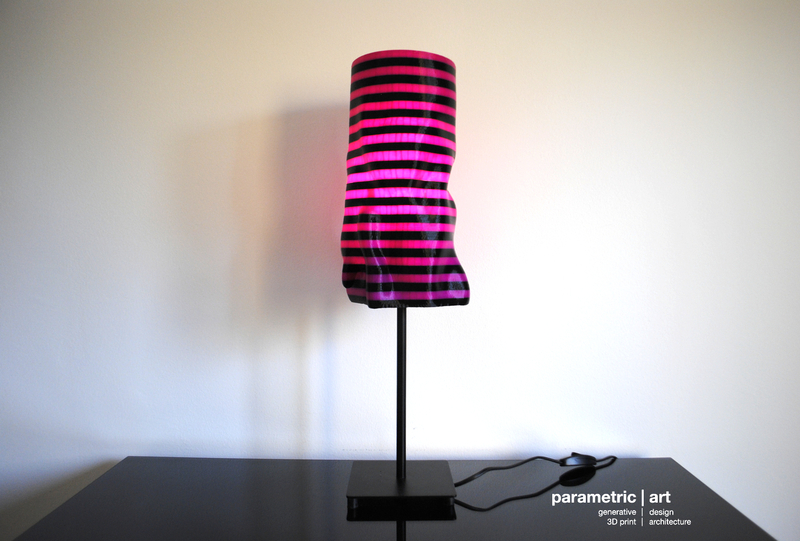 Fashion design, industrial design, architecture and jewelry already adopted the parametric design language which allows the designer to generate a huge amount of variations and iterations for a defined situation depending on fitness values and genetic algorithms. There are some open-source tools for generative design, which makes this game much more fun! A dear friend of mine has designed the generative 3d printed jewelry pieces shown in the pictures I’ve inserted, I think they all look really unique, and they all came out from an affordable desktop FDM 3D printer. Most of them are 3D printed on a Leapfrog Creatr Dual extrusion 3D printer, some of them have been printed on a RepRap Huxley or the Velleman K8200 3D printer. In some cases, he has made some test prints on a Makerbot Replicator2 as well. 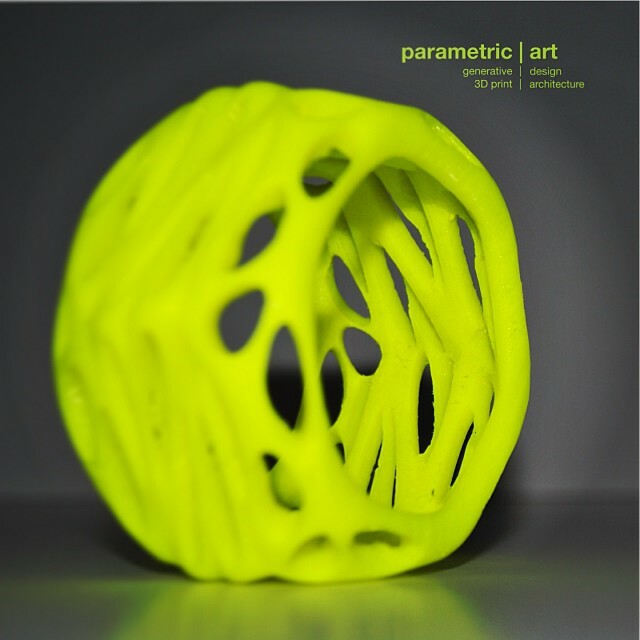 I bet you’ll like all the stuff of the parametric | art 3d printed generative jewelry collection, for some design, there are already uploaded design files (.stl) on Thingiverse, so you only have to download and scale it, and then 3D print it! The illustrated 3d printed jewelry pieces are great examples for the quality which can be reached with a well-calibrated 3D printer and using premium quality 3D printer filaments. For the chiseled details and overhangs, you’d better print these kind of objects with high resolution (100 micron or finer) and use water-soluble PVA 3D print support material to avoid the trouble while removing supports manually. If you want to design and 3d print your own generative 3d printed jewelry (for example like the voronoi bracelets on the picture above), you don’t need to buy any expensive stuff. You don’t need a professional CAD software which are really expensive, there are plenty of open-source and free tools which you can use as well. Just like I described in a former blog post about 3d modeling for 3d printing, you can use Meshlab, Grasshopper for Rhino and Meshmixer for the modeling work and Netfabb or similar software for optimizing and repairing you meshes before generating the g-code. If you want to learn this stuff, there are some really nice workshops offered by Gigamax 3D printing technology. Actually a dear friend of mine runs gigamax3d.com and GigamaX3D facebook page. They are the official european distributors of ESUN filaments and Velleman 3D printers. They sell nice quality ABS/PLA/HIPS/PVA 3d printing filaments with 1.75 and 3 mm diameters in 1 kg spools in 16 vibrant colors, which I’ve already tested on my Replicator2 and they are all good (I’ve had some serious troubles with 3d printer filament diameter issues before). They also carry consumer and prosumer desktop 3D printers like the Leapfrog Creatr or the Tricolor Mendel RepRap model and also offer print on demand services and training/education workshops. A lot of RepRap parts and electronics are available on stock as well. Gigamax 3D printing workshops offer an impressive scope of standalone desktop 3D printing technology, the Leapfrog Creatr dual extruder model, tricolor Mendel, K8200, Reprap Huxley to name just some of the best ticket items being put to use and build by this busy little center. If you want to design a 3d model for a rendering or video game, you don’t need to pay any attention to reality. You can completely ignore the physical world. Most 3d scenes and objects will only contain the outer meshes and layers that are visible, objects don’t need to really connect, and there can be some acceptable topology issues, bad meshes and dupklicated vertexes as well, which won’t affect the end results. Some of you might have already experienced, that once you start working with 3d printers, this is very different! There are several software needs for 3d printer users: open-source 3d modeling tools, like OpenSCAD or Blender, slicing tool, to “compile” the 3d geometry to a set of G-Code instructions for the toolpath of the extruder tool of the 3d printer, such as Skeinforge or Slic3r; and finally a 3d printer controller program, such as Printrun, Cura or RepetierHost. Whether you use a web-based (webGL or html5) 3d modeler optimized for 3d printing (such as Leopoly) or a professional CAD tool like Rhinoceros, 3dsMax, Maya, SketchUp or Blender, designing objects for 3D printing demands expertise in everything from structural engineering to material science. Most common basic 3D software which are available out there are tools like Blender or SketchUp, which have a freely available version, and they are really easy to learn because there are a plenty of well-documented tutorials available online. There are also sites like Leopoly (click here) and Tinkercad, which are in browser based 3D modeling tools that allow you to rapidly create and download a file that you can 3d print on your desktop 3d printer. If you want it to get more advanced you can get into things like Rhino and Grasshopper or Solidworks which are professional level engineering softwares. Or you can go into the AutoCAD suite where you have things like 3D Max, Maya, and AutoCAD. Blender is an open-source 3d modeling software that you can use to create your very own models for 3d printing. It is completely free, and there are a plenty of good sites and tutorials if you want to learn how it works. The latest edition came with a 3d printing toolbox as well, designed especially for the needs of modeling for 3d printing. At the beginning, we have to set up the scale and dimensions of our scene. Metric units are easier to notate in blender than imperial units, and the most common 3d printing services use metric measurements (meters and centimeters) rather than the standard blender unit. You also can scale your 3d model by its volume, it can be useful if you want to optimize your cost of 3d printing (most services charge by volume and material, and you don’t want to pay a huge amount of money just because you haven’t optimized your .stl file the right way). You can check the volume of your object in the 3d print toolbar, and if it is too big, you can actually scale the model automatically so that it is exactly a certain volume. To do this, under the Print3D tab, find Scale To and click volume. 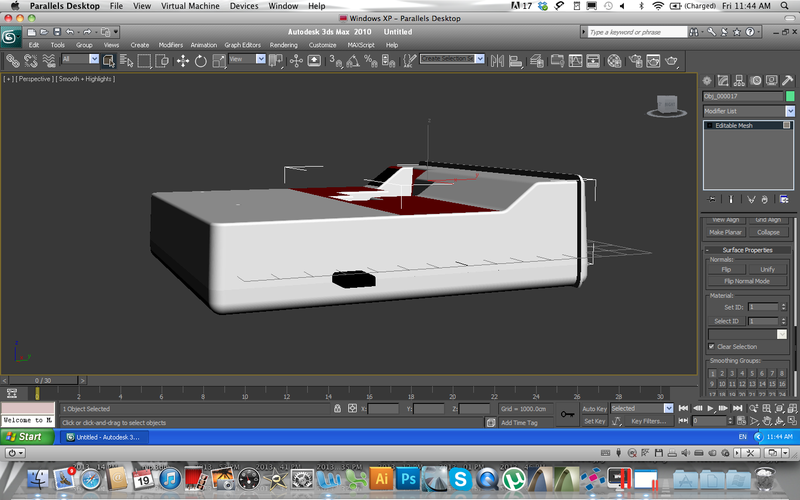 Then you have to type in your desired volume in cm3, and it will automatically scale down your model for you. If the volume values are pretty high, your 3d printed object would be quite expensive, so you’d better fix that by making the model hollow. Common FDM 3d printers can only print things down to certain dimensions, so you should check your machines technical boundaries. Minimal wall thickness, best resolution (minimal layer height) and additional supports (if needed) are the most important aspects of optimizing your 3d model for 3d printing. If you want to add thickness to your mesh surface, select your 3d object in your scene, then add the Solidify modifier. After these steps, you only have to export your 3d model as an .stl file. Before doing this, please double check your measurements and dimensions to make sure everything is at optimal scale, and then above the export button, designate a file path and click export. You should now have a .stl file at your designated location, which can be prepared for slicing and generating the g-code, just like I have described it in the last blog post about checking .stl files before 3d printing. If you want to get started making awesome models for 3d printing, SketchUp might be a nice and free tool at the beginning. 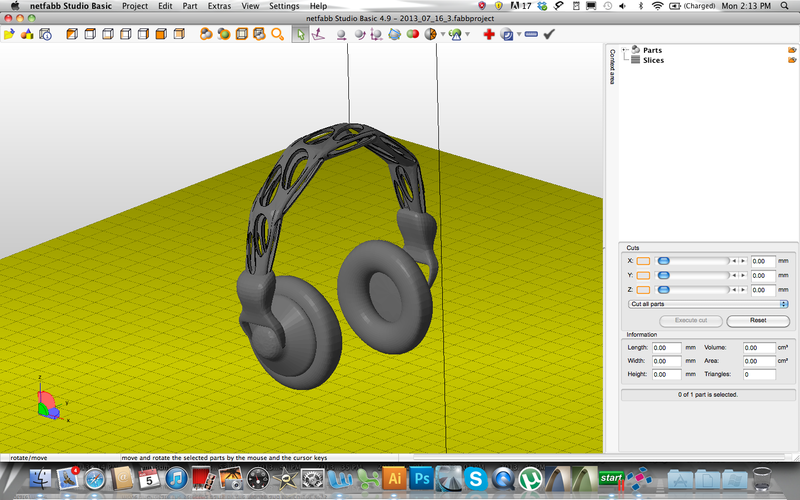 It is the 3d modeling tool of Google, which can help you to design some objects and then 3d print them. Whatever you’re designing, keep in mind the real world. Your 3d model will become an actual object, so you must consider dimensions, strength and gravity. Unlike Blender, SketchUp doesn’t have a 3d printing toolbox, you have to set the parameters for 3d printing manually or use some nice open-source plugins. 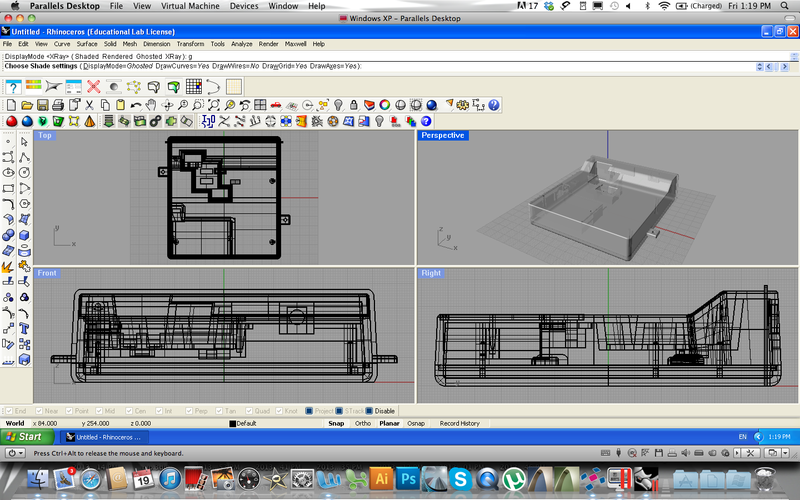 For example, Cura can directly import the “.dae” file format that SketchUp natively export to. We only have to define the inside and outside of our closed mesh. Does our computer actually know what is the inside or outside? This important thing should be clear to us, but most computer software needs you to specify this, this is called ‘orienting the faces’ in SketchUp (or ‘unify mesh normals’ in Rhino). There usually is a front and a backside to a ‘face’. In SketchUp there is a slightly different color for the front an back sides. The inside and outside are not understood to a ‘dumb’ computer, so you have to help it! There are some nice tutorials here. 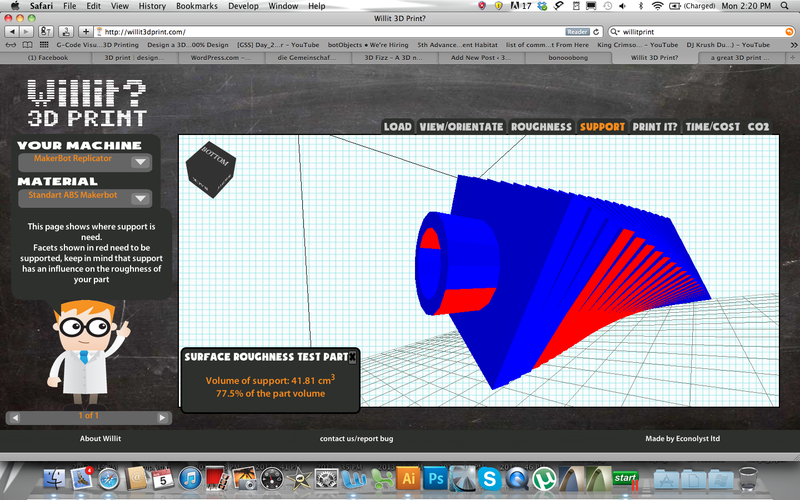 3d models for 3d printing must be “watertight” or “Solid” to be 3d printable. This is by far the most common problem beginners have when modeling for 3d printing. If you were to fill it with water, none would drain out, and the model must not have any extra lines or faces. If you make your object into a group or component, Sketchup will indicate when its solid in the Entity Info dialog box (Window > Entity Info). Plugins can also help you work faster or do things that Sketchup simply can’t do. Solid Inspector is a great tool for detecting bad meshes and topology issues that prevent your geometry from forming solids. The parameters are the same just like in Blender: wall thickness, scale and print material specifications and limitations should be checked before exporting the .stl file. For exporting, there is a great plugin called SketchUp STL Exporter. There is a great tutorial by Shapeways here. 3d design using ‘visual programming’ for 3d printed output might be really cool, but actually, it isn’t available to output a Grasshopper design to be printed with a 3d printer, but the visual programming language of this awesome tool allows us to create some custom mesh optimization algorithms and then bake the results in the Rhino environment. There are some really useful mesh analysis tools to detect and remove bad meshes and we also can check the curvature of the object for additional supports. Grasshopper runs within the Rhinoceros 3D CAD application, which is a professional NURBS 3d modeling environment but without ‘explicit history’ feature or parametric tools. 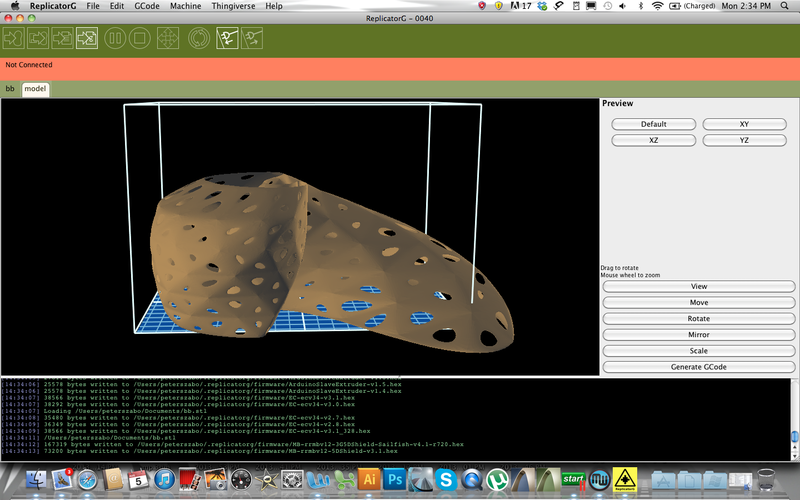 Rhino is basically a surface modeler, but it can work with solids as well. By putting components on the canvas we can make some really useful definitions to optimize our model for 3d printing, and those fluid forms created with mathematical algorithms look really fancy if realized. These are the most useful components and plugins which can help us to give thickness to our mesh surfaces and make them watertight like Weaverbird and MeshAnalysis. Hi there, today it’s going to be about some general design rules that should always be performed on any .stl file you create before 3D printing. Most of the downloadable .stl files for 3D print offered by several platforms are already checked for 3D printing, and the feedback is quick as well if something is wrong because of the nice community around 3D printing. After the 3D printing boom in the last couple of months, the number of the 3D printer owners has rised and a lot of people started to 3D print their downloaded things at home. The system of the RepRap-like FDM 3D printers hasn’t been designed for a plug&play use, if you’re into 3 printing you should know what I am talking about. If you are a natural born hacker, RepRaps are just for you, but if you want a 3D printer for professional production you should buy an expensive FDM printer from the higher class. They use the same technology but the system is closed so it doesn’t need any adjustment or special maintenance. If you want to design a 3D model for a visualization render or a video game, you needn’t pay any attention to real world physics. 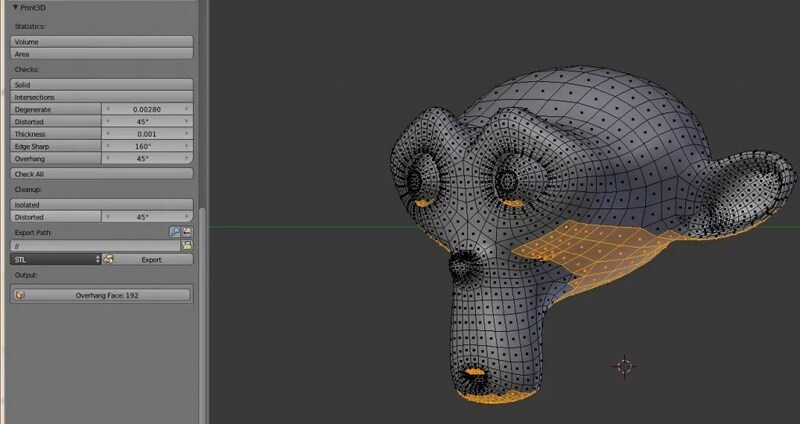 In the practice, the most 3D objects will only contain the meshes that are visible, they don’t need to really connect, there can be a lot of 2D elements in the geometry and there can be some holes and broken meshes or duplicates which can disturb the slicing process while generating the g-code, etc. You can completely ignore the physical world. As some of you have already discovered, once you start working with 3D printers this is very different! I just would like to share the basic design rules of my general design for 3D printing process and the machines I’ve worked with. If you design something in 3D, at the beginning, you probably don’t know which type of machine and material you want to use to realize your object. In general, every single 3D printing technology like FDM, SLS or DLP has got its own pros and cons, so the designs should be optimized for the actual chosen additive manufacturing method and the material for the fabrication. I mostly use my desktop 3D printer which works with fused deposition modeling technology (FDM), actually it is an upgraded/hacked Makerbot Replicator2, which is capable to 3D print with experimental materials as well, like laybrick (sandstone-like stuff) and laywood (wooden filament). I usually print with PLA filaments and sometimes I make 3D prints with wood and sandstone. I already have 3D printed more than 2000 hrs with my machine, and I had to learn the limitations of the FDM process so I could design more complex geometrical forms and parts. 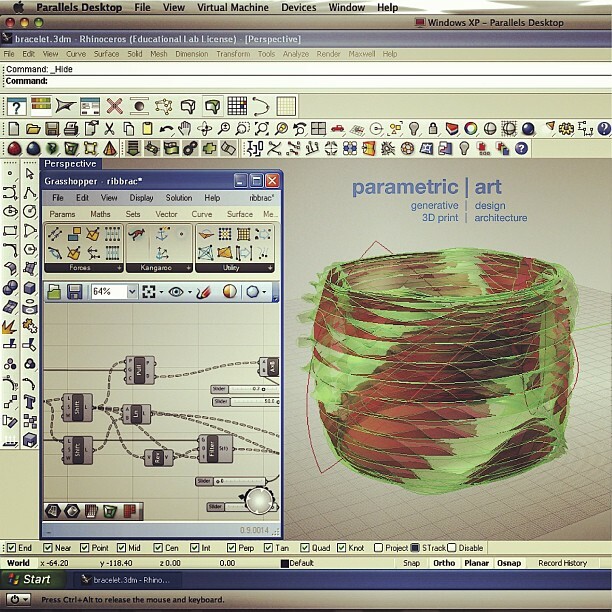 Usually, I make my designs in Rhino with the Grasshopper parametric modeling tool, which is absolutely free. 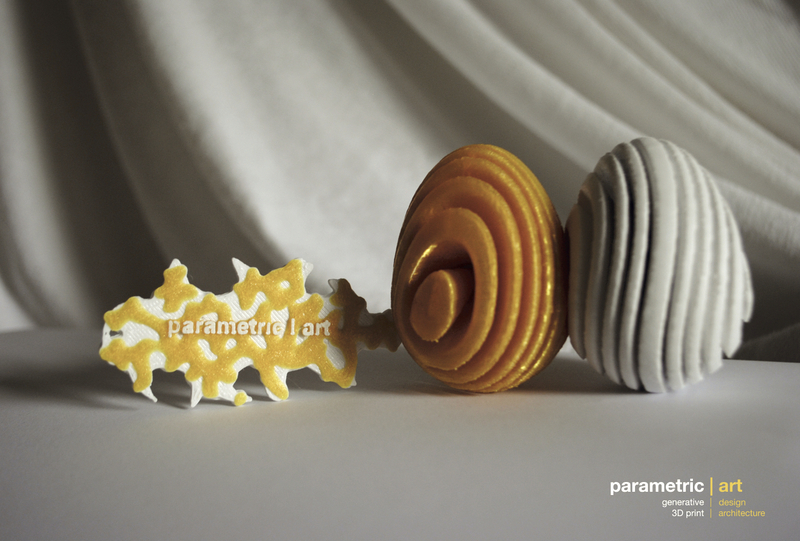 This great plug-in gives you parametric control over your meshes, so I can think about the 3D printing process while designing my sculptures or stuff like that. If you want to prepare your model for 3D printing, you should know the boundaries of your machine. If not, there are some general guidelines to choose the right and universal maximum size and wall-thickness, based on the build volume and nozzle/beam diameter of the 3D printer. In general, the model should fit into a 15 x 15 x 15 cm cube and mustn’t contain walls with a thickness under 1mm. If you need support structures for your 3D print, maybe you should add them manually to your model; the automatic generated supports by the several slicer software are a waste of material and if you don’t use some soluble material for 3D printing support structures with a dual extrusion 3D printer, you may have some issues while removing the support structures and get a nice surface finish. Another important thing is the position of the normal vectors of the meshes of your .stl file. All meshes of your model should have their normals pointing in the correct direction. When your model contains inverted normal’s, the 3D printer cannot determine the inside or outside of your mesh or 3D model. Usual problem is the error of the mesh surface as well, holes, duplicates can make your print wrong. In Rhino, there are some really nice Mesh Repair tools like Cap Holes of Remove Duplicates, which can make your work easier. Netfabb is an awesome cloud-based tool as well, the free version already allows you to analyze, test and repair your .stl files, split and cut them into parts. Your 3D printed surfaces must be closed, I’d like like to call this being ‘watertight’. It can sometimes be a pain to identify where this problem occurs in your 3D model, if you can’t find it, there are some really nice algorithms or applications and tools which will highlight the problem area for you. Will It 3D Print is useful site with a funny design, unfortunately, it doesn’t work for me with complex and huge .stl files, with simple geometries it might work. I’ve already put together an algorithm in Grasshopper which analyzes meshes for holes and unifies their normal vectors. 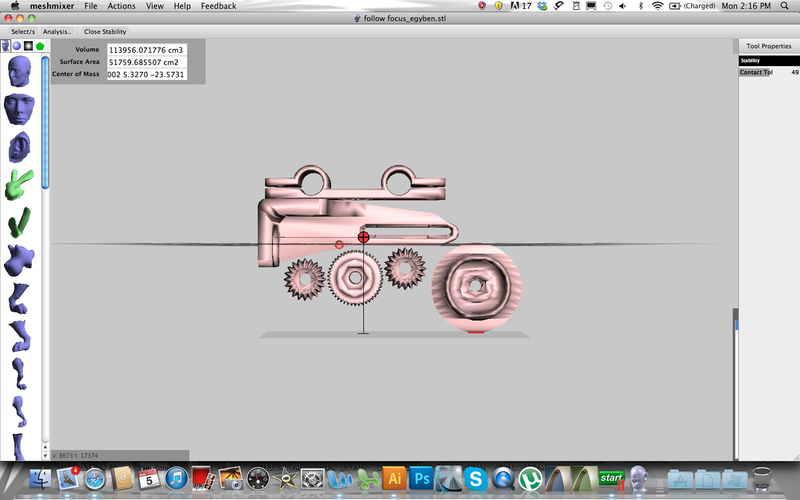 Let me share some really nice apps and tools which I’ve used to create and optimize my 3D models for the 3D printing. At first, you have to create the 3D geometry of your model. I use several professional 3D software’s, but if you don’t want to get into 3D modeling and complex geometries, there are some easy-to-use sculpting solutions which can give you great results without any 3D experience. Of course, you can download .stl files from 3D databases like Thingiverse, GrabCAD, Ponoko, or Nervous System, you also can customize your stuff with some really nice WebGL based 3D modeling tools which run in your browser window. If you want to create something unique, SculptGL, 123D and Leopoly could be the right choice for you! Both are in-browser 3D modeling environments with 3D print and .stl export function, and Leopoly has got an absolutely awesome controller called Leonar3Do which is a bird-like device to navigate and work in a 3D virtual reality space. If you already have your model, you have to optimize and check them before 3D printing, Netfabb, the Mesh Repair functions of Rhino, WillIt3DPrint and Meshmixer are great solutions for that, and of course, the new 3D printing features of Blender’s latest release gives you a nice control over these parameters as well. After your .stl meshes have been tested, you have to slice your model to generate the g-code which defines the tool path for the extruder head of your 3D printer. This article cannot describe the whole world of g-codes that the most desktop 3D printer firmwares use and how they work, but some facts should be cleared. The main target is additive fabrication using FFF/FDM processes. Codes for the 3D printer head movements follow the NIST RS274NGC G-code standard, so RepRap-like firmwares could be used well for CNC milling or stuff like that. As many different firmwares exist and their developers tend to implement new features without discussing strategies or looking what others did before them, a lot of different sub-flavours for the 3D-Printer specific codes developed over the years. The most common slicing software solutions like Slic3r, MakerWare, ReplicatorG, etc. can save the information in the main format and as a pure g-code as well. 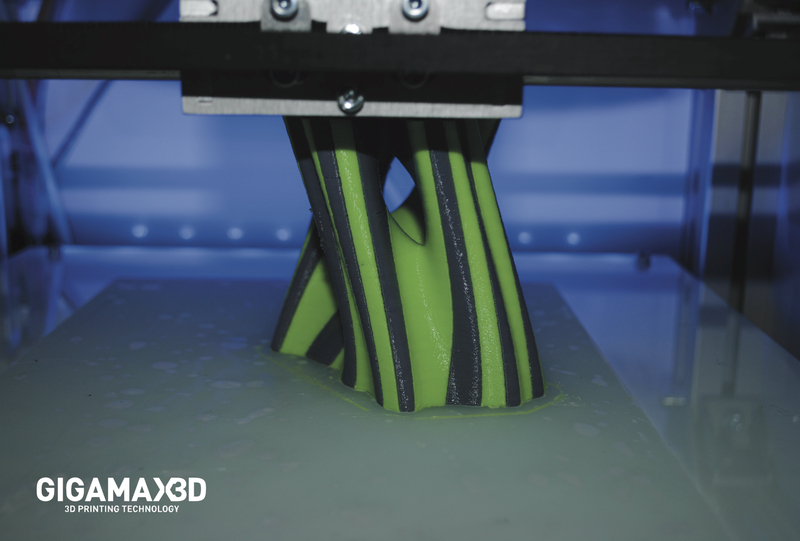 If we aren’t sure about the success of our 3D prints, because we try it for the first time, we can test and simulate the 3D printing process with our g-code. There are a couple of g-code visualizers available, some of them already runs on Android as well. CNC Simulators can animate the 3D printers movement and working process as well, so can easily check if our print will work or not. The ReplicatorG and Slic3r offers similar simulating and analyzing functions like Netfabb and WillIt3DPrint. If everything is ready, and our model has been sliced and fully prepared for 3D printing, we can turn on our magic machine (I mean a desktop 3D printer for example) and prepare it for the work. Make sure your build plate has been leveled correctly because it can cause the first layer not to stick to the plate. You can wash it with acethone but always check the leveling before you print. You can use a painters tape if you want to, I personally don’t prefer stuff like that because I print all the time so it would take too many hours to change the tape, I always print with solid raft structures so I can easily remove the prints from the plate without any risk of damage. 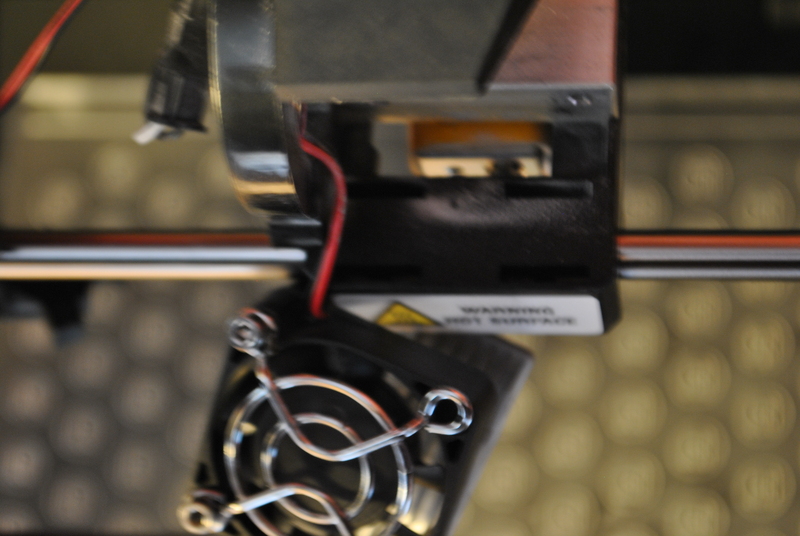 Make sure you have enough filament on the spool to complete the process, and let’s start heating the extruder! In a couple of hours (or days depending on the size and resolution) your prototype is ready, just like this huge industrial prototype I’ve printed, which took more than 50 hrs to print in 3 separate parts. Welcome on my blog! 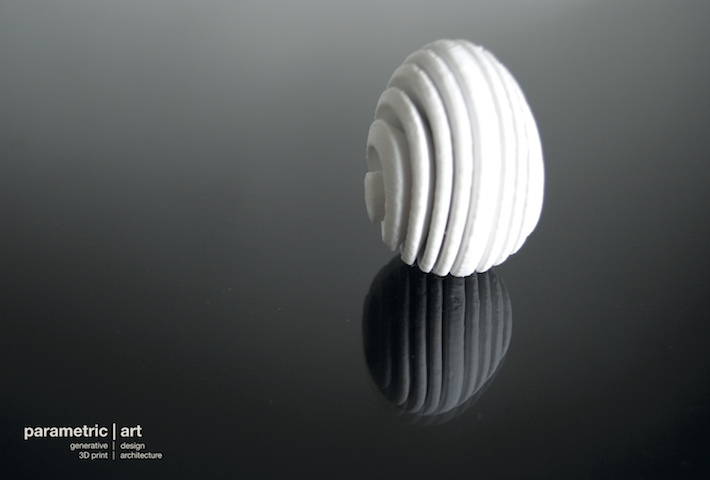 Today, we are going to go on with the differences of the most common 3D printing materials, the ABS and PLA plastics. The most desktop 3D printers can work with these materials, last week’s post was about the main characteristics of the two filament types, today it’s going to be about some special aspects of use in practice. I want to discuss some important things about these 2 materials, I mean the shrinkage factor, rigidity, bio-degradability and heat resistance. A fact is a fact: PLA is a much more rigid material compared to ABS. If you compare ABS and PLA by applying a progressive force, ABS will start to bend and finally will break; while ABS is bending, PLA on the other hand will hold it’s shape (it’s very rigid and doesn’t flex). Actually, this one is the reason for the design fail of the plunger construction of the MakerBot Replicator 2. The guys at MakerBot have set the old plunger construction used in the Replicator1 and other RepRap 3d printers. But those all work with ABS filament, which is . as mentioned above – not as rigid as PLA. After 100 hrs of 3D printing with my new Replicator2 desktop 3D printer, the filament has cut a hole in the plastic cap of the plunger. It’s okay – I thought – and I have tightened the screw on the plunger a little. I got another 100 hrs of 3D printing, but after that, another hole has appeared. There is a much better – a spring loaded – construction for that, you can download the upgraded plunger form Thingiverse and 3D print your own. PLA is more rigid and its surface is harder as well. When applying more force, after a certain point it will eventually break before bending. You often need more force to break a PLA part than an ABS one especially if you have a thick part. Fact: PLA has a much lower shrinkage factor than ABS. Usually it means that it is MUCH easier to use in the most common desktop FDM 3D printers: unlike ABS, PLA deforms definitely less and suffers from very little layer detachment leading to a much higher success rate on your 3D prints. I’ve 3D printed my most beautiful parts all with PLA, ABS isn’t the right choice for fine surface finishes. With ABS, even a relatively small part will deform when printing if you don’t have a heated bed and/or a heated building environment. With the RepRap machines like the Felix or the Prusa model, it is really hard to get a tempered 3D print environment, because the working area of the 3D printer isn’t closed. (I’ve never managed it to heat it up to 100 Celsius as suggested, my maximum of bed temperature has been 80 Celsius with my RepRap.) With the more expensive desktop 3D printers like the MakerBot Replicator 2X it would be better: the tempered chamber of the 3D printer allows you to control the temperature of your prints immediately. 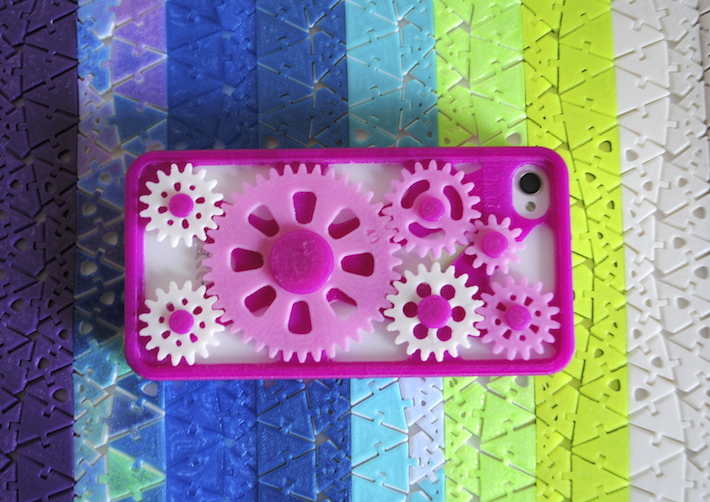 Are you interested in painting of your 3D printed plastic parts? I have really good news for you: both usual 3D printing materials – PLA and ABS – can be painted and post processed (sanded) if needed. First thing is first… Preparation. There are some Items that you need when prepping the plastics to paint. This first step is really important, because if you missed it, the primer didn’t bond well with the ABS plastic and tended to flake off. I’ve had a customer a couple of weeks ago who has asked me to 3D print build enclosures for electronics modules that were going to be left outside for many years. In that case ABS was the better choice because it’s not biodegradable, so it is more durable for outdoor use. Another customer needed to build supports for DIN rails. The support needed to flex enough to fit into the DIN rail. I have 3D printed the same part in PLA and ABS. PLA, caused by its rigidity, wouldn’t flex so ABS was the right material because of its flexibility. In the last couple of weeks, some flexible PLA materials have appeared on the market as well; I’ve already ordered some spools for testing but I haven’t got any experiences with them yet. I’m looking forward to see the results. Fact: ABS has a higher melting temperature so if you need plastic parts that need to deal with high temperatures (about 100 Celsius or more), than ABS is also preferable over PLA because of its higher melting point. My conclusion: all in all PLA is not a “one size fits all” but it will meet the needs of 95% of the 3D printing enthusiasts and – from experience – it is so much easier to 3D print compared to ABS. That’s it for today, I hope this posts helps clear out some questions about the right choice of material for 3D printing. In my next post, I’m going to write about some really special, experimental materials which can be 3D printed as well, just think about some wood or sandstone 3D printed things. It sounds awesome, doesn’t it?